"This man God raised on the third day and granted that he be visible, not to all the people, but to us, the witnesses chosen by God in advance, who ate and drank with him after he rose from the dead." 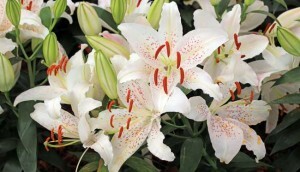 We welcome our parishioners and all visitors to our web site. We hope you find helpful information here, and that you will come to visit us in person. We have a beautiful church with friendly parishioners and a welcoming spirit. 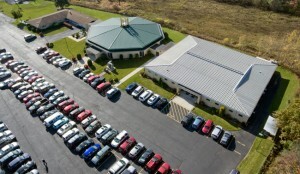 If you have any questions, please call our parish office phone at (814) 322-4789. May God bless you in the name of the Father, the Son and the Holy Spirit. Our parish has a Job Opening for a Parish Secretary. Please click here for description of the position. PLEASE PRAY FOR AND PROMOTE VOCATIONS! 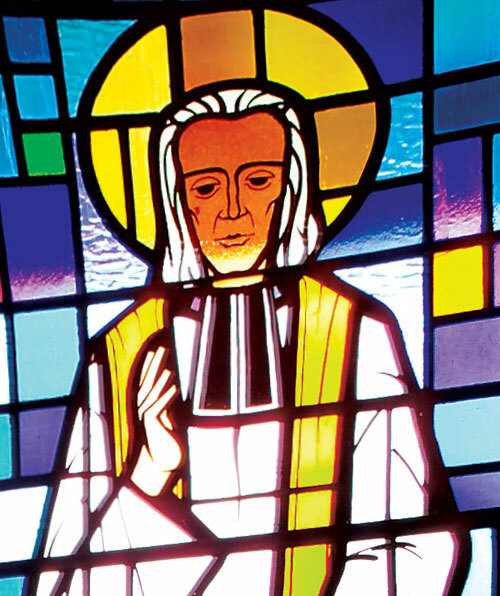 The patron saint of our parish is Saint John Vianney. He was a parish priest in the small and very remote village of Ars, France during the early 1800’s. 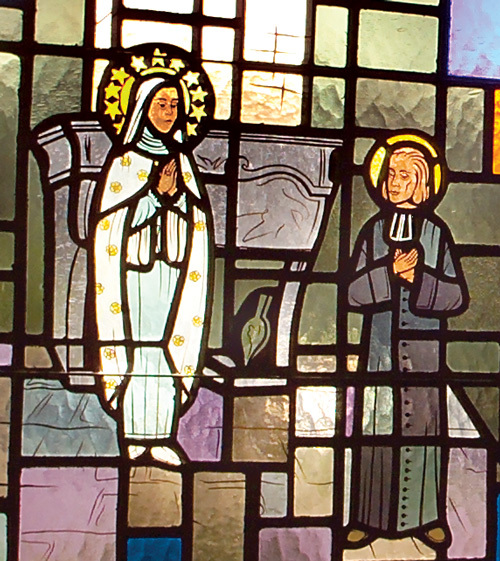 St. John Vianney was a humble man with a deep devotion to our Blessed Lady. He was much beloved by his parishioners. St. John Vianney became very famous as a confessor and spiritual director. He heard confessions of people from all over the world, often for 16 hours a day. His life was filled with works of charity and love, and today Saint John Vianney is known as the patron saint of all parish priests. 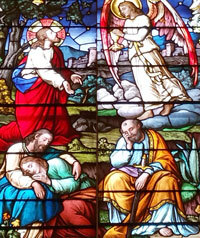 The stained glass windows in our church depict scenes from the life of Saint John Vianney. We have used details from our windows on this web site. Please join us and all in our diocese in praying for more vocations to the priesthood and religious life. Please check Parish Bulletin Page on this web site for any changes to the regular schedule.